Tariq Ahmed is a Mechanical Engineer with a wide range of management experience. He has taken various courses related to the Japanese Management System in Pakistan and abroad. He is presently working on a multinational joint venture project “Indus Motor Company Limited” as Manager Production Engineering. He has over nine years experience of working very closely with Toyota Motor Corporation in the field of management and played a key role in establishing the Japanese Management System like Kaizen, 5S etc. at Indus Motor Co. Limited. He is a regular guest speaker at various business / educational forums and has presented papers in Pakistan premier quality event “International Convention on Quality Improvement (ICQI 98)”. 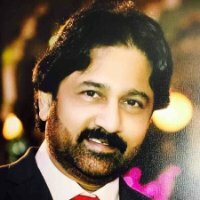 He is a faculty member of Preston University Karachi campus and involved in teaching on modern TQM approaches that are being practices in Japan. This study explains the basic elements of QFD and aims to prove the applicability of this theory to Pakistani organization for product & process improvement via conducting a research by doing so it attempts to show that the quality can be increased. Necessary data has been collected through questionnaires from more than 50 Pakistani companies & analyzed in the context of QFD approach. If we can apply this technique what would be possible benefits and difficulties to be faced & if we will not apply; why not? And the disadvantages. This study also shows that QFD is a comprehensive frame work which incorporates to a certain extend other TQM tool such as FMEA, SPC, DOE, 7 New Management Tool etc. Finally in this paper, building house of quality, which is an important tool of QFD, will be presented with a case study from the process industry i.e. Pakistan Tobacco Company (PTC). This case study shows how successfully this concept can be implemented in Pakistani organizations.